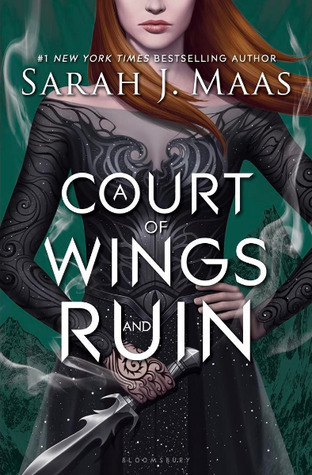 Old wounds fester, betrayals cut deep, human and fae blood covers the land of Prythian as war crashes upon it in Sarah J. Maas’ A Court of Wings and Ruin. This highly anticipated third installment delivers the culmination of its main story arc. Rhysand and Feyre must stop the King of Hybern from using the Cauldron to destroy everything and everyone they hold dear. But first, a game of deception is at play as Feyre returns to Tamlin’s Spring court to siphon information to her mate. From the beginning, the book stands apart from its predecessors as the romance arc gets largely resolved in ACOMAF (still my favorite of the series). The narrative focused on war—the preparation for it, the actual raging of it and the aftermath of it. So the tone felt inherently different. Also different was the momentum and pacing of the first half of the book from the second. The first part of the book lagged a little even though I had hoped that Feyre’s time with Tamlin would be thrumming with unbearable tension. But the story hit its stride midway as the action really began to unfurl. Maas’ prowess at character development shone brightly once again—their relationships and complexities the true highlight. And while Feyre and Rhysand’s story naturally abated, the narrative broadened to further explore characters like Nesta, Elain, Mor, Cassian and Azriel. Tamlin’s storyline, however, was disappointing. While we know he made some bad choices (and I’m fully on board with Rhysand and Feyre together), I fell in love with Tamlin in the first book and hoped to close the book with a better feeling on where/how he ended up. There’s more to come, I hope, in his development, as other stories in this world descend next year. Lastly, while war certainly took its toll, I had expected more deeply cutting consequences that would have given the story a visceral gravitas. Overall, while I felt there were some bumps, I did love it. Particularly the second half. It was fierce and delivered that pull, that sense of urgency I usually feel throughout. There were moments I was moved to tears, moments between friends and family that hit me like a gut punch. I look forward to seeing more from supporting characters like Nesta and Elain, as a new Prythian rises in the dawn after war.